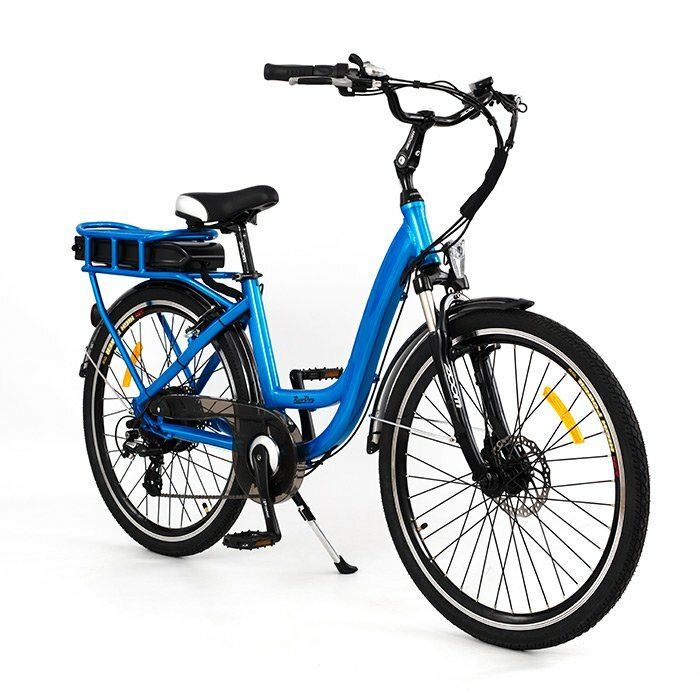 Our Chic small frame electric bike is designed for both male and female riders, who need a smaller frame. It has a classic low step through design, and is simply beautiful and compact. You will find this super comfortable to ride as it has a large, soft saddle, an adjustable handle bar stem for perfect ride position, and is made from lightweight aluminium alloy. The design allows for easy attachment of a wicker basket and pannier bags, which can make the bike both more feminine and functional. The LED indicator will let you know how much battery charge you have left, and with the powerful LED lights front & back, this ebike will help keep you safe even after dark.